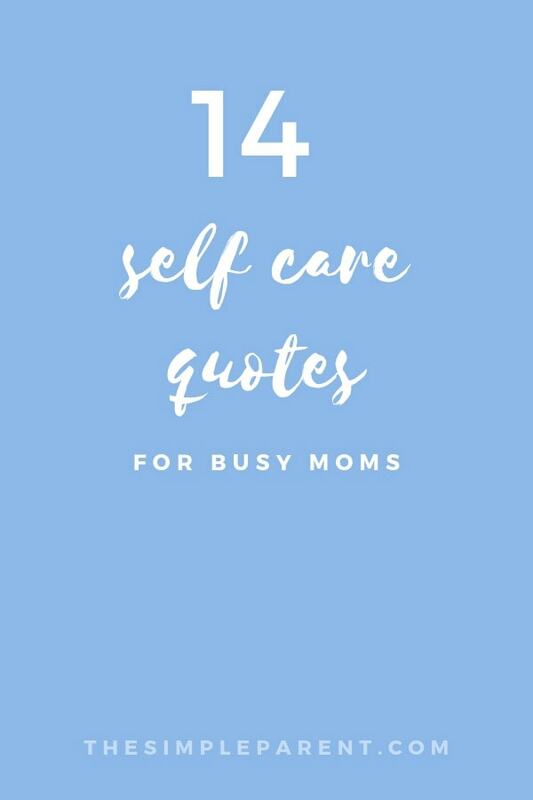 One thing I’ve learned about being a mom from my own experience and from talking to my friends is that many of us struggle with one thing — taking care of ourselves. 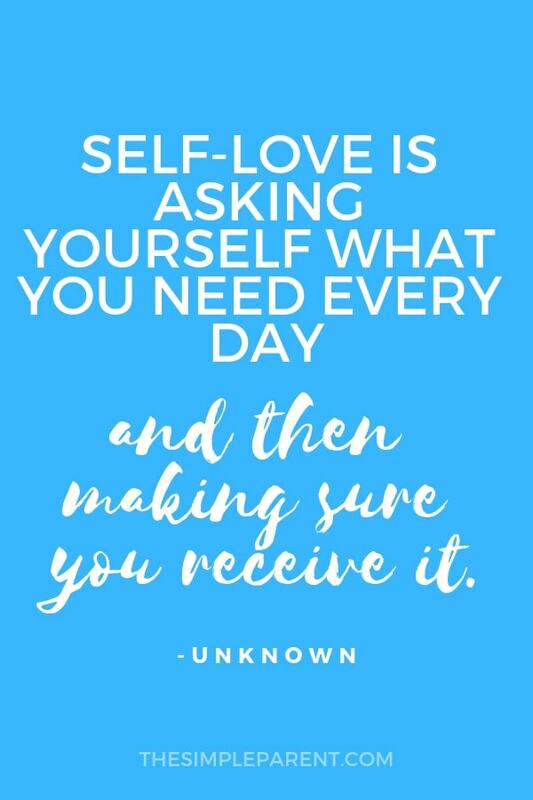 It’s so easy to put everyone ahead of ourselves which is why I love collecting take care of yourself quotes to remind myself that if I’m not doing any self-care then I might not be able to give my family my best like I want to. 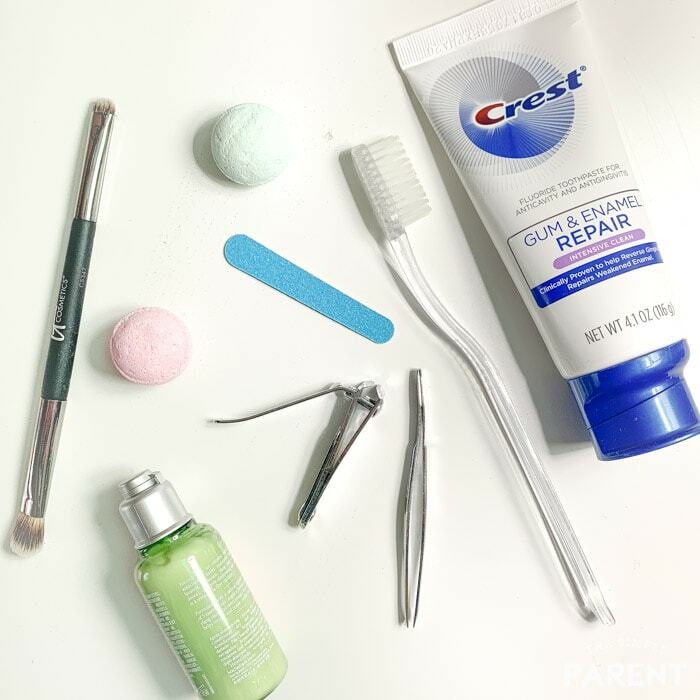 Products like Crest Gum & Enamel Repair have become part of my daily self-care routine and how I take care of myself. Self-care is really something I’ve only started thinking about in recent years. 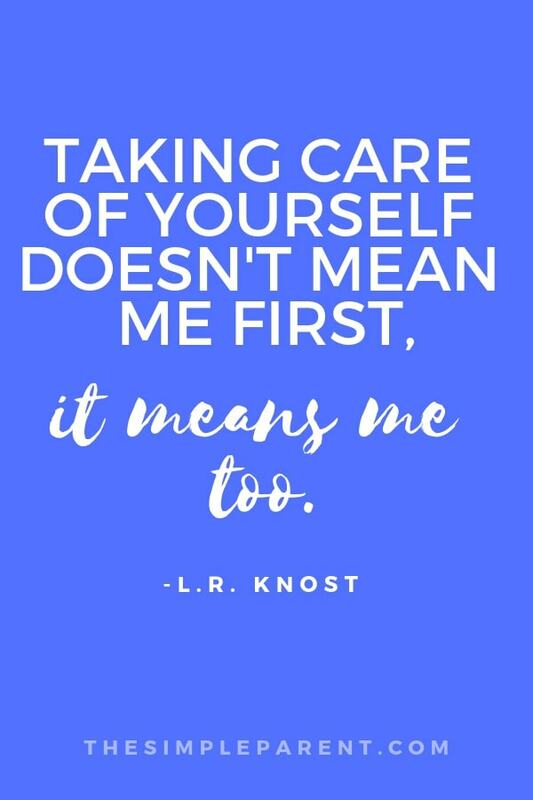 It can mean so many things but the most important thing is that however we define it, busy moms need to take time to care for themselves. As part of my partnership with Crest, I’ve shared about my journey this year including some of my favorite self-care ideas. Sometimes my self-care includes things like pampering with a massage (though not that often) but it doesn’t have to be that involved. You don’t need an appointment to take care of yourself. It can be super simple too. A cup of tea on the back deck while the kids are at school works great for me. Sitting down with a new book or my logic problems magazine without interruptions is another one of my favorites. Going for a long walk is one way I take care of myself physically, mentally, and emotionally. 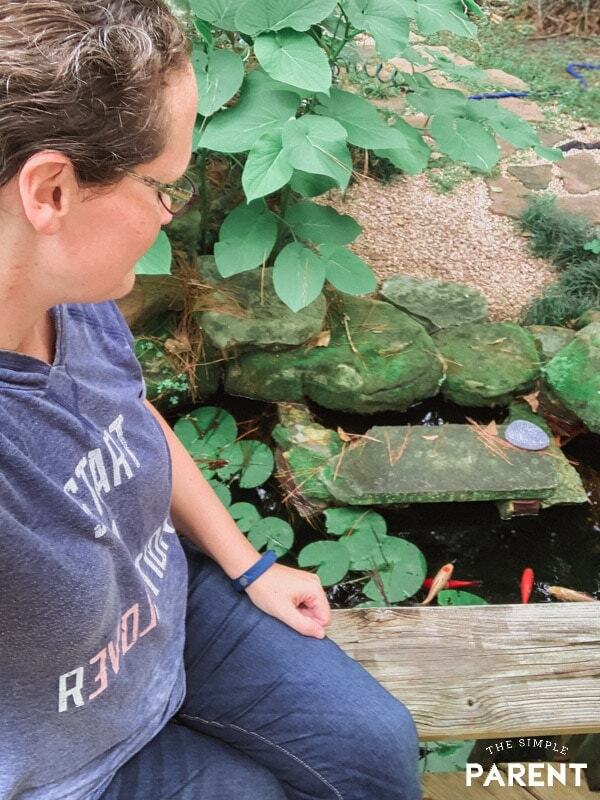 I actually changed my morning routine as part of my focus on self-care and it has been huge for me! I’m sharing more about that experience later in this post! No matter what the self-care looks like, the one thing I find myself needing is a reminder. When life gets busy, self-care is often the first thing to go in my life. I’m a huge fan of affirmations and inspirational quotes, so I like to keep some of my favorite take care of yourself quotes on sticky notes and in my phone to help me remember that I’m important. With my favorite take care of yourself quotes posted on my bathroom mirror, tucked in my journal, and in my phone to remind me, I try to make sure I take care of myself each day. The quotes help me get my mind in the right place. I struggled with that for a long time (and still struggle with it when I’m really busy). But my absolute favorite quote keeps me headed in the right direction. I had to work to accept this. As a busy mom, I had to realize that I was as important as the rest of the family. I wasn’t supposed to be at the bottom of the list of things to take care of — the thing that often didn’t get much attention at all. I love a good massage or a great meal out at a favorite restaurant. But I’ve also learned that self-care happens on a daily basis in smaller ways. Making small changes can help you give yourself the attention you need which will help you be an even better version of mom for your family. For a long time, I woke up at about the same time as the kids. I would work on getting them ready to go to school while I also got ready for the day. That meant we were all in the bathroom at the same time. Changing clothes, brushing hair, and brushing teeth all at the same time and all on top of each other. It wasn’t the smoothest way to start the day. Quotes on taking care of yourself are what helped me change my thinking a bit. I thought I needed (or maybe just wanted) to sleep in as late as possible. In my mind that equated to getting as much sleep as possible. I had to stop and think about whether or not ten to fifteen minutes really made much of a difference. That’s when I started getting up about fifteen minutes before the kids. I turned my morning routine into a small chunk of self-care time. Being able to stand in front of the mirror alone to wash my face, brush my hair, and brush my teeth actually made a big difference in my morning. Having a few minutes to myself helps me start the day feeling more relaxed and feeling more like I can handle anything that comes my way. Just proof that reading take care of yourself quotes each day really did change my thinking. By making small changes in my daily routine, I’ve turned some things I do each day into time for myself. I’ve also started using more products that work best for me. I will admit I used to just use whatever toothpaste or shampoo we had laying around until I remembered to buy my favorites when I went shopping. But that has changed! I make sure I have my favorites in the bathroom and extras in the cabinet! 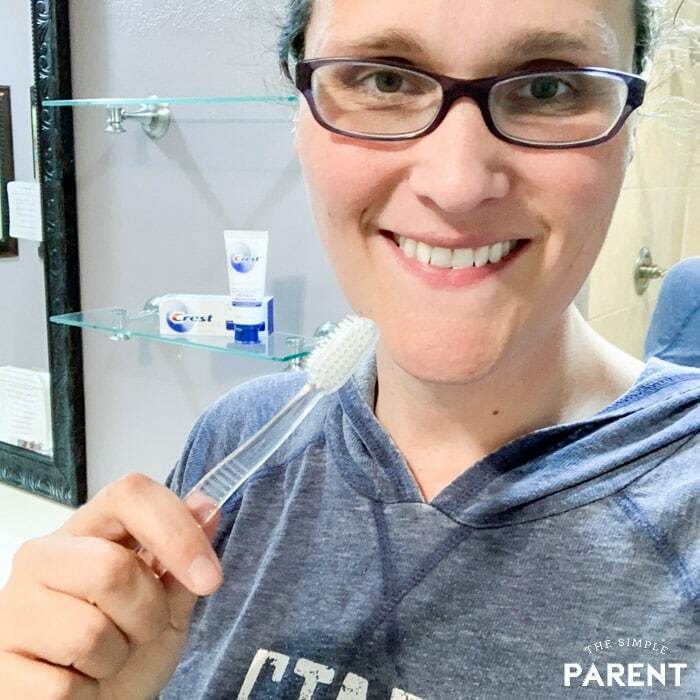 I talk to my kids about taking care of their teeth and when it comes to my teeth, I have certain needs. So changing up my routine when it comes to brushing my teeth and flossing, I’m taking better care of myself. Yes, finding a toothpaste that works best for you is a form of self-care! Clinically proven healthier gums and helps repair and strengthen weakened enamel. Remineralizes weakened enamel for an overall healthier mouth. Shields against acids in food and drink so you can continue to enjoy your favorite treats. Inhibits cavity-causing attacks by plaque acids so your mouth can stay fresh all day long. Available in Intensive Clean and Advanced Whitening varieties. 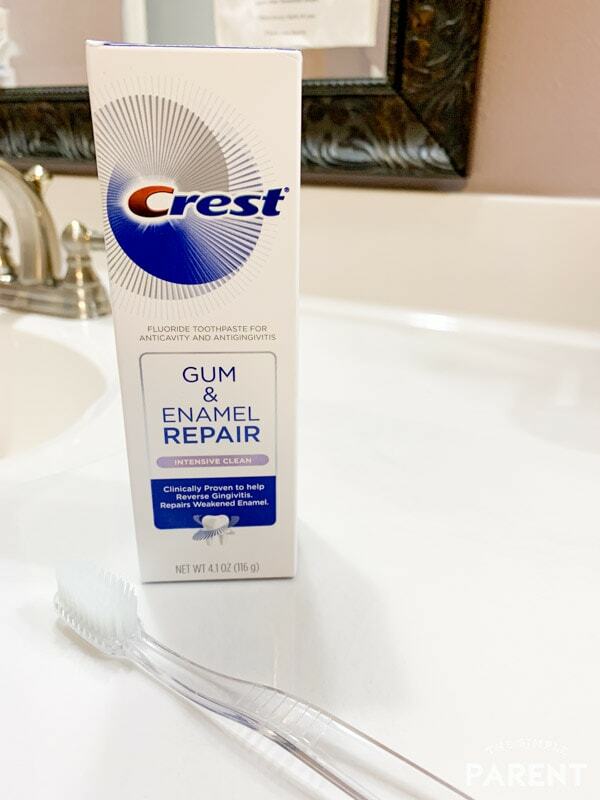 Crest Gum & Enamel Repair is now available at Walmart which makes it super convenient! Convenience is key for me and my busy life. 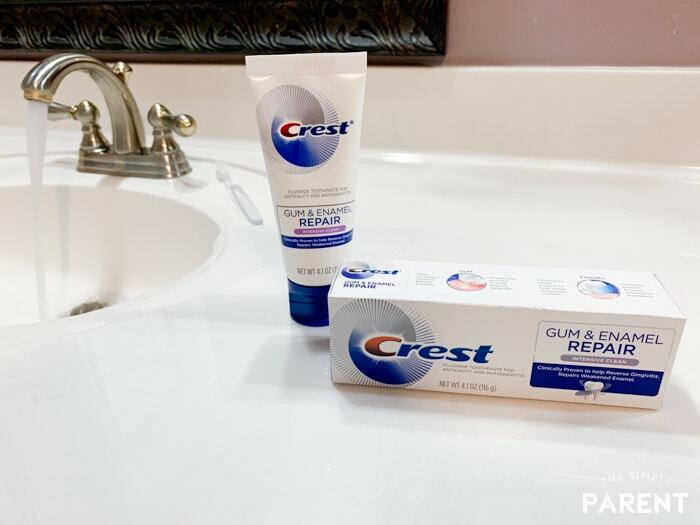 Through October 1st you can get $3 off of Crest Gum & Enamel Repair toothpaste (or any of other favorite Crest products including Crest Gum Detoxify, Crest 3D Whitening Therapy, and 3D White Brilliance) using the Ibotta rebate and brandsaver coupon at Walmart! Visit www.crest.com to learn more about Crest Gum & Enamel Repair. When it comes to self-care, small changes can make a huge difference. Making changes in my daily routines to turn them into a time where I focus on myself has had a huge impact in how I feel. Yes, something as simple as the toothpaste and toothbrush I use changes the way I feel each morning! Paired with my favorite take care of yourself quotes, I feel like I’ve come a long way towards remembering my own worth and take care of myself. Even the busiest moms can make those small changes! I believe in you!